The seasons of the church calendar are designed to help us remember and live faithfully according to the story of Jesus’ life and his work for our salvation in fulfillment of God’s mission for the people of Israel and his plan for the whole world. In other words, the church calendar helps us order our worship and life together as a church around the whole story of the good news (gospel) of Jesus. Advent is the season of the church year immediately before Christmas. Advent means “coming”; it is a four-week period when the church remembers Jesus’ first coming and looks forward to his coming again to finish the work of redemption he has begun. 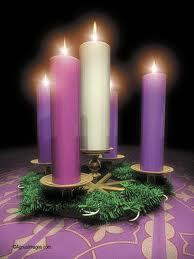 Each of these four weeks is marked by the candles of the Advent wreath. In our scripture readings and prayers we remember Jesus’ first coming in the past as we read God’s promises in the Old Testament to deliver Israel from sin, exile, and the oppression of her enemies, and to bring salvation to the whole world through the king (Messiah) who would establish God’s kingdom on earth. In Advent we celebrate the initial fulfillment of those promises in Jesus’ first coming and also look to the future for their complete fulfillment in Jesus’ second advent. Like Israel of old, we also are awaiting the future coming of Jesus to fulfill all of God’s plan for us and for his world. At Central Presbyterian Church, the colors at the front of the church change to purple. We change these colors to mark each season of the church year. Purple, a color of royalty, marks the beginning of the story of the fulfillment of God’s kingdom in the coming of Jesus the King, which we celebrate in the season of Advent. By celebrating Advent every year, we learn how to wait. In our world of texting, tweeting, streaming live video, and made-to-order lifestyles, waiting is something we generally seek to avoid. By immersing ourselves in Advent each year, we are consciously working against the grain of our instant gratification world by acknowledging that our personal lives and all of human history are utterly dependent upon the plan and guidance of a personal God who is patient and whose timetable is longer and wiser than ours. Christmas celebrates the fulfillment of Advent longings. In the Christmas season we enter into the joy of the angels and shepherds who worshipped the newborn king because we also see that the glorious king promised by the prophets has come to us in Jesus. Indeed, this king is none other than the glorious God come near: Immanuel, God with us. The colors of white and gold mark the arrival of the One who is the full radiance of the glory of God. At the same time, Christmas focuses our attention on the humility of Jesus. By being born as a poor man in a fallen world, Jesus did not insist on the kingly prerogatives and glory that he rightly deserved; rather, he humbled himself by willingly embracing, serving, and loving a cursed and wicked world even to the point of death. A true celebration of Christmas leads us to new humility and commitment to serve others sacrificially as we follow our incarnate Lord. Christmas also gives us well-grounded hope for the healing and flourishing of this world. In Jesus, God has shown his relentless commitment to restore what is broken and fulfill his purposes for all creation by permanently joining himself to a physical body. Thus, the invisible God has made himself visible. The Maker of earth and all matter now dwells forever in a body of matter that he made. In other words, the eternal Word became flesh and dwelt among us (John 1:14). And one day we shall see him as he is when even death itself shall be swallowed up in his victory and all things will be purified and made new forever. For further reading on the history and meaning of Advent and Christmas, see the “Liturgical Calendar” section here. 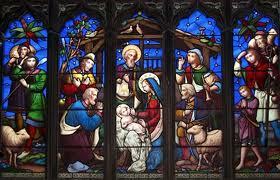 This entry was posted in Advent and Christmas, Liturgical Calendar by Mike Farley. Bookmark the permalink.